Egozy – Close up on me ! Head Skin Applier + makeup : EGOZY – Iman – Coffe . By Nicole Button /Ritamya Miles .NEW!!! BodySkin Applier : EGOZY – Included in the head skin applier!!! 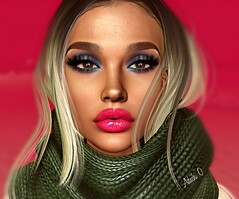 Head Skin Applier + makeup : EGOZY – Harlow – Coffe . By Nicole Button /Ritamya Miles .NEW!!! * Each color comes in a 3in1 option, which means you will recieve the Hoodie Romper attached with the leggings but each item can be worn seperate as well!